The Cincinnati Bengals promote responsible drinking and positive fan behavior at Paul Brown Stadium. The Bengals alcohol management plan ensures that fans have a safe and fun experience. The Cincinnati Bengals have established a “Fan Code of Conduct” for all of our season ticket holders, their guests and other fans who attend our games. We are committed to creating a safe, comfortable and enjoyable experience for all of our fans, both in the stadium and in the parking lots we control around the stadium (Lots A, B, C, D, E, U, 1 and Freedom Center). We want all fans attending our games to enjoy the experience in a responsible fashion. All Season Ticket Holders and Parking Pass Holders are responsible for their conduct as well as the conduct of their guests as well as those using their tickets or parking passes. Violations, by either the Season Ticket Holder or anyone using their tickets or parking passes, may result in being ejected from the stadium or parking lot, and their season tickets, parking privileges and Charter Ownership Agreements are subject to revocation without refund. 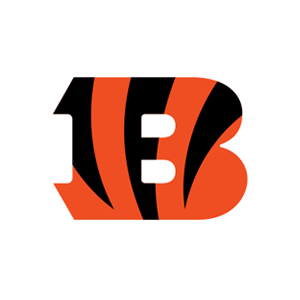 The Cincinnati Bengals and Paul Brown Stadium thank you for adhering to our Fan Code of Conduct. Fans are encouraged to report violations of the Fan Code of Conduct to stadium management. Designated Driver Booths are located at Gates C and D. Guests wishing to participate must be 21 years of age with a valid driver’s license. In return, registered guests will receive one coupon redeemable for a soft drink during the game. Continuing for the 2016 NFL season, the Cincinnati Bengals are facing off against the Cleveland Browns in the Bud Light Good Sport Designated Driver Challenge. Bengals fans who pledge to be designated drivers at Paul Brown Stadium earn the Bengals a touchdown (6 points) in the Challenge. Bengals fans who “Like” the Bengals Designated Driver Challenge Facebook page earn the Bengals an extra point in the Challenge. Please make the pledge to be a responsible Bengals fan and help the Bengals win the Challenge!